Written to conform to 320x200 pixels and ONLY 16 colors. 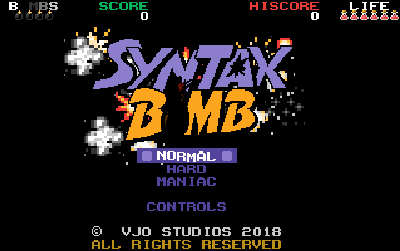 SyntaxBomb is a fast retro inspired plat-former with 40 devious levels, numerous enemies and fruit galore to collect. Dare you wait around for the Ghoul to be released? Will you manage to clear the towers of enemies? What will you do when the levels disappear? Will you hum along to the original chip-synth music and 8-bit sounds? Will you slip up on a banana skin, or float skyward on a bubble? Both MacOS 64bit and Windows 64bit are fully supported. Plays on any monitor even fullscreen - just click and drag to the size you require. Keyboard and Joystick/control support with customisable controls. 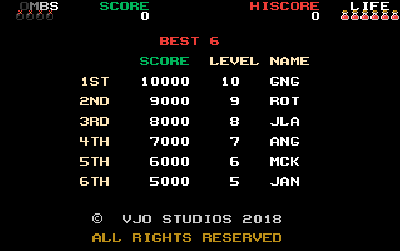 Full high-score system and 3 completely brilliant difficulty levels. 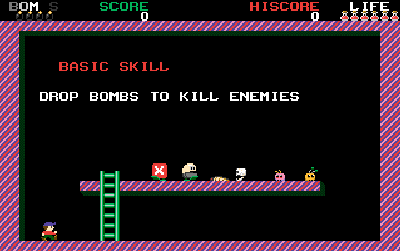 Dare to drop as many bombs as possible and still get out alive. or wait until a bonus round? Just download and run. everything should be fine. 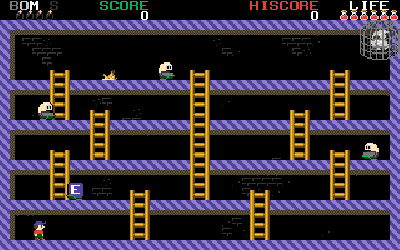 reminds me of fames like donkey kong on the zx speccy, great work! Being a fan of bomb jack, bubble bobble this appealed. Very nice work! will it work on Windows 10? it's possible, but not currently. I know that wine supports it very well though. Hi, my name is Ayhan. My youtube channel Indie Oyun Dunyasi's introduced. Excellent job! I'm definitely gonna play this game more than once! I'll let you know if I encounter anything broken in your game. This is a great little game. Well done, Adam. Here I made a video of me playing it, I don't talk but wanted to share here it go. So fun!! Loved the music, sfx, enemies, banana peel, and the guy in the corner. All together made a really fun game! Can't wait to see what you make next, keep up the fantastic work. Greet to hear you liked all the sound and music. I worked hard to get it all working together as all the sounds used a brand new chip-synth system. Thanks. I'm happy the game is larger when I maximize, but its still a window rather than full screen. are you on MacOS or Windows? Hi Adam, I think you will need to reproduce the issue I was having with XBox 360 controller and Windows version in order to fix it. 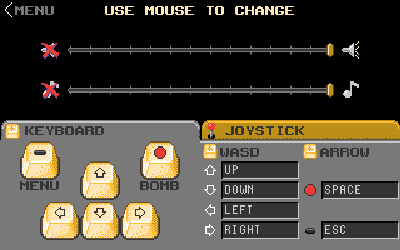 When you try and customize the joystick settings the user interface feels very broken as if you are using some kind of busy loop to wait for next input. I gave up trying to configure xbox controller on windows version to use DPad and A button so that was a bit frustrating. 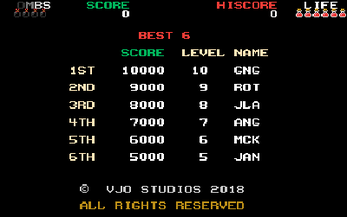 <edit> OK managed to configure joystick second time but there is something buggy with the way you program the controls. Also the main menu timeout could reset on input so help screen does not appear when player is using main menu. A very funny 1980's arcade style game. 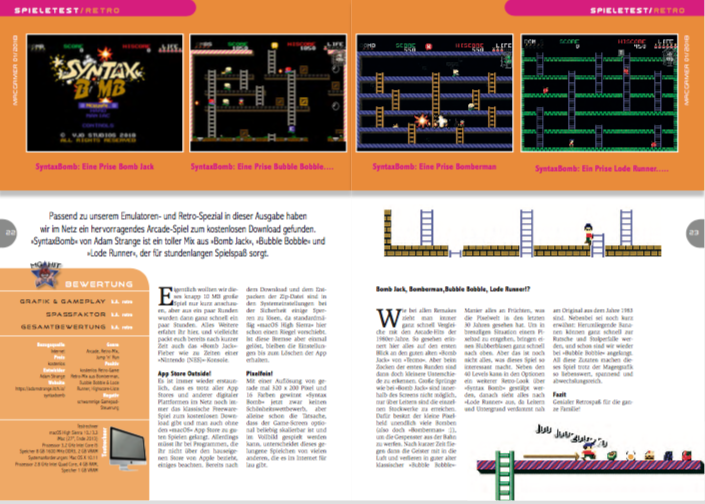 It has retro feel.